- Hundreds of lighted jack-o-lanterns highlight The Arboretum at Penn State’s Pumpkin Festival, held at the Arboretum on the Penn State campus from 6:00 p.m to 9:00 p.m. Friday and 4:00 p.m. to 9:00 p.m. Saturday. Seasonal displays containing hundreds of squashes representing 24 different varieties will be featured throughout the gardens. On Saturday, the band Bluegrass Redemption will play from 5:00 p.m. until 8:00 p.m. Food vendors will be on site, and make sure you bring a flashlight for the evening activities. - On the second and third Saturday in October, Way Fruit Farm holds its Fall Festival from 9:00 a.m. to 4:00 p.m. The event will feature wagon rides out to the Way pumpkin patch to pick the best pumpkin, an apple sling shot, craft vendors, a petting zoo, and, of course, Way’s fantastic apple products including their wonderful cider. Ten percent of all proceeds will go to an orphanage in the Dominican Republic. - The Hartslog Heritage Day is a pretty big fall festival held each year in Alexandria, PA. The event celebrates an actual log that was a local landmark during the 18th Century. The log is no longer there but at this festival you can find a lot of vendors, great food, children’s activities, and live music. - The Hollidaysburg Community Partnership will host the annual Pumpkin Festival on Allegheny Street in Downtown Hollidaysburg Saturday from 10:00 a.m. to 4:00 p.m. The pumpkin-themed community event features a variety of pumpkin foods, games, and something called pumpkin bowling. There will also be magic, clowns, jugglers, and story time for the kids. 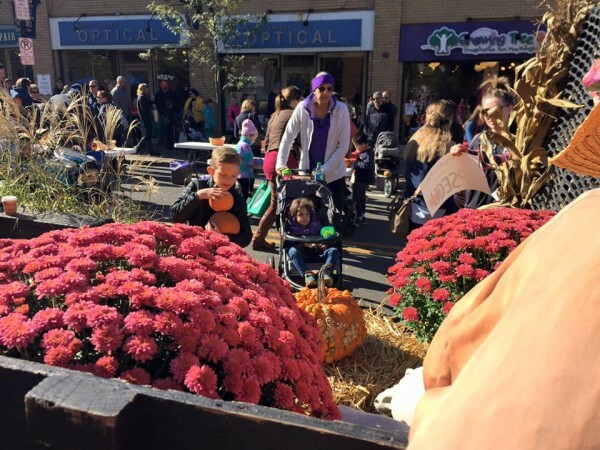 - The 18h annual Fall Festival (including Kids Day and the Community Resource Fair) will take place on the 200 block of Allen Street in State College from 10:00 a.m. to 3:00 p.m. Saturday. There will be free pumpkins for the kids at the PSECU Pumpkin Patch , a bounce house, Tumble Bus, pony rides, a dessert contest (entry info here), live music, and more.